Beshoffs of Howth is the Wholesale division of the company. Established in 1996 and based here directly on the West Pier in Howth. We are one of Dublin’s Best known wholesale fishmongers. Our happy team of fish filiters and fishmongers all have one thing in common – these lads seriously know their fish - it’s what they do! Beshoffs of Howth is the Wholesale division of the company. Established in 1996 and based here directly on the West Pier in Howth. We are one of Dublin’s Best known wholesale fishmongers. 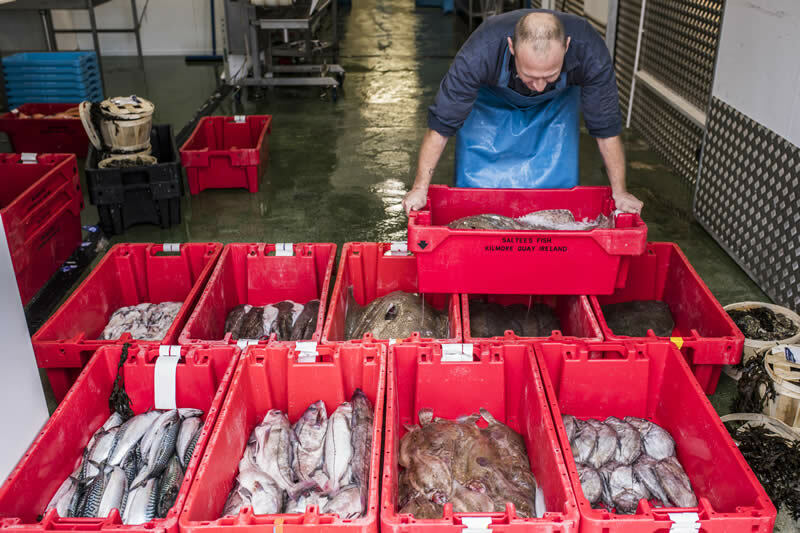 Our wholesale team is dedicated to sourcing and supplying you with a diverse range of the Freshest Quality Seafood available. The Company prides itself on a offering first rate customer service and our team are always on hand and eager to share their wealth of knowledge and passion for seafood. See our sample product list below.